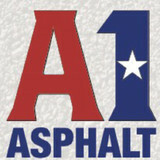 Asphalt Paving is a family owned and operated concrete, chipseal and asphalt paving company constructing residential and commercial projects in San Antonio and Austin area since 1972. Over the past 40 years we have become a talented team of experienced craftsmen with the attitude that we are only as good as our last job. Asphalt Paving was founded with a vision to provide home and business owners alike with a trusted, dependable paving contractor that delivers the utmost professionalism, and quality workmanship at a fair price. 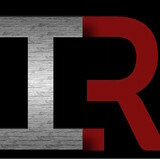 Iron Rock Concrete has a combined experience of over 15 years in the concrete industry. 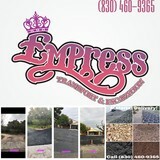 Specializing in residential concrete including decorative, driveway, patios, sidewalks and slabs. We pride ourselves in customer satisfaction in all that we do. By working with every customer and understanding their needs we allow for every vision to become a reality. Whether that's a family fun sports-court, sturdy concrete driveway or a beautiful backyard oasis. Iron Rock Concrete only uses the highest- grade materials such as reinforced steel to ensure the best results. We are a company our customer trust and can count on for all their concrete needs! At Titanium Diversified Services, we take pride in our quality of work and customer satisfaction. Since inception, Titanium has provided is customers with the service they desire and expect from a reputable construction service company. This is evident from the continuous repeat business from the residential builder to the large commercial general contractor. We specialize in Asphalt, Chip Seal, Base Work, Seal Coating and Striping , Commercial & Residential. We use only top quality materials to get the job done right. Welcome to C Brooks Paving. We’re proud to boast that we are one of San Antonio’s top tar and chip services – and for good reasons. We strive to look out for each and every one of our customer’s individual needs, bringing top-notch attention to detail, and a quality staff who knows what it takes to get the job done right. You deserve the absolute best chip seal and sealcoating San Antonio TX has to offer, which is why we’re one of the leading local services in this industry. At B & R Paving Company we offer only the best asphalt paving and sealcoating services available. We are doing both residential and commercial work and have many years of experience in business. We proudly serve areas such as; San Antonio, San Marcos, Austin, Corpus Christi, Houston, Galveston, McAllen, Laredo, New Braunsfuls, Conroe, Tomball, Brownesville, College Station, and all towns in between. RDZ Paving paves both commercial and residential areas. Need a new construction striped? We will do the job. We also stripe roads, parking lots, speed bumps. Winters Concrete has over 27 years of experience. We listen to our customers and work with them to address their concrete needs. We focus on residential and commercial projects. From installation to repair, Hollywood Park, TX driveway contractors are responsible for a variety of planning, installation, construction and driveway maintenance services. Driveway installation. Before work begins on a new or replacement driveway, your professional should create plans based on your needs and material choices, as well as your property grade, soil and other Texas landscape factors. When it comes to the actual driveway construction, driveway contractors are responsible for preparing the site, obtaining the necessary materials, making sure a strong foundation is laid, operating equipment and heavy machinery, and cleaning up the site afterwards. Driveway materials. While most driveway contractors in Hollywood Park, TX primarily work with asphalt, they are also experts on the wide range of available driveway materials. If you are looking for something different than a standard asphalt driveway, your pro can help you select driveway pavers or customize a brick driveway design. A driveway installation and maintenance professional may work closely with a Hollywood Park, TX builder, landscape professional or various manufacturers and suppliers. 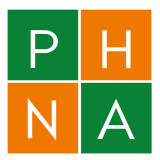 Find a Hollywood Park, TX driveway installation and maintenance professional on Houzz. Narrow your search in the Professionals section of the website to Hollywood Park, TX driveway installation and maintenance. You may also look through Hollywood Park, TX photos to find examples of driveways that you like, then contact the professional or contractor who worked on them.